3. 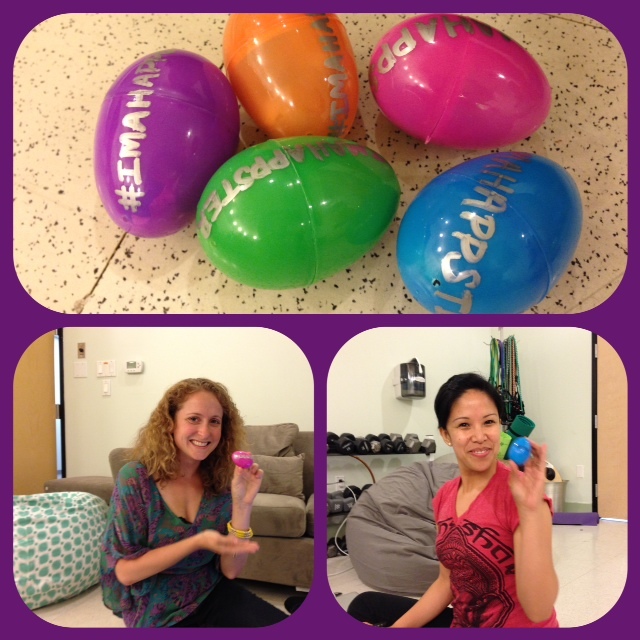 Randomly distribute the eggs over the weekend so that some lucky people get a happy surprise! Will you join us in spreading happy Easter eggs around your neighborhood this weekend? Let me know in the comments! Become an official Happster & get free Happy Notes to make it easy for you to express gratitude to people you encounter here: http://tinyurl.com/imahappster. Timely post, I just finished my easter goody bags. I am going out tomorrow wearing my bunny ears and handing them out. Very fun. I took homemade cupcakes with Peep bunnies over to my local fire station and senior housing art group. Nice. I like any idea that helps to spread happiness and joy. Great idea! 🙂 Have a joyful Easter! Thanks for brightening my day all the time, hope you had a lovely and happy Easter! I SO would’ve done this with my friends if I’d read this earlier. Great idea!